Los Angeles residential development is thriving with a record breaking 2,831 units new to the market located at 11 projects. There is a combined 40,000 more units in the pipeline identified as under construction and proposed. With so many units hitting the market it will skew the percentages, however, the market is showing that these new units are being absorbed. Wilshire Grand Center came online during this period as well and is touted as the ‘tallest structure in the Los Angeles skyline’. This massive skyscraper reaches 73 stories, offers 889 hotel rooms, restaurants and office complex. A handful of retailers and restaurateurs have arrived in the expanding retail sector. 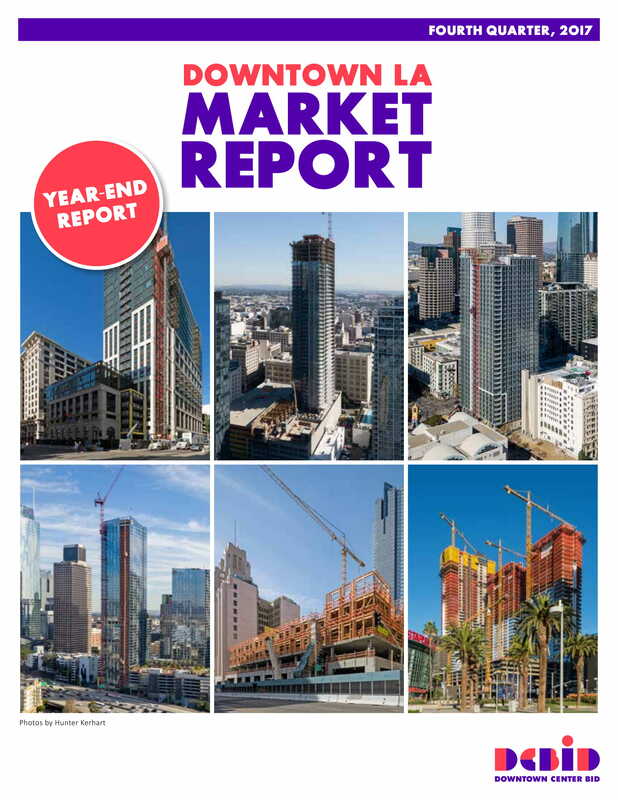 To learn more about the thriving Downtown Los Angeles market check out the Q42017 Market Report Here.